Home / Blog articles / Farms Not Factories goes to the Great British Food Festival! Farms Not Factories goes to the Great British Food Festival! 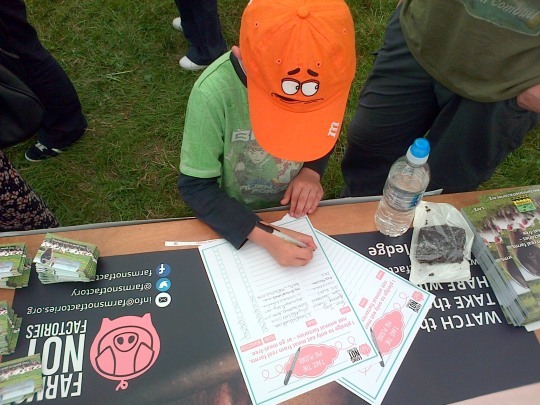 This weekend Farms Not Factories visited the Great British Food Festival in Staffordshire, where visitors signed the Pig Pledge and got clued up on the pig issues surrounding pork from animal factories. 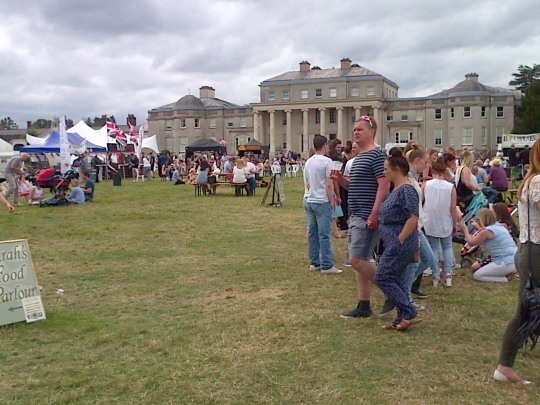 With the Shugborough Estate providing a beautiful background, over 100 people signed the Pig Pledge – pledging to eat meat only from real farms, or go meat free! Many more took our labelling guides; saying they’d use them when shopping from now on. The majority of people we spoke to were extremely receptive to our campaigns and interested in finding out more about the issues surrounding animal factories. Many were already aware and delighted to discover an organisation through which they could channel their feelings, with some taking leaflets to distribute to friends and colleagues. 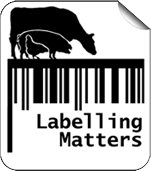 Those who weren’t previously aware were disturbed by factory farming practices and at the unethical nature of the ubiquitous Red Tractor label. 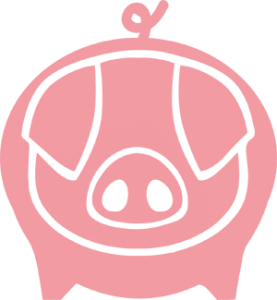 However, they were pleased to hear that there is a positive alternative, and often expressed this by signing the Pig Pledge. Given that this is a festival that people primarily attend to enjoy the act of eating and not necessarily think about the ethics of food, we were very encouraged at the reception we received, and hope to attend a range of festivals in the future!